Russia aiming to build a tech-based economy? More than 13,000 entrepreneurs and investors visited the Open Innovations forum just outside Moscow last week. However, concerns arose about the pace of technological advances in Russia. Skolkovo Technology Park, one of Russia's largest science parks, is just an hour’s drive from Moscow's city centre. Designed as an alternative to Silicon Valley in the U.S., Skolkovo is a key part of Russia's dream to build an economy based on scientific and technological innovation. Skolkovo Technopark hosted the Open Innovations forum from October 26 to 28. This is the Russian government's flagship tech event. The forum is seen as an opportunity to inspire technological development in the sanctions-hit country. 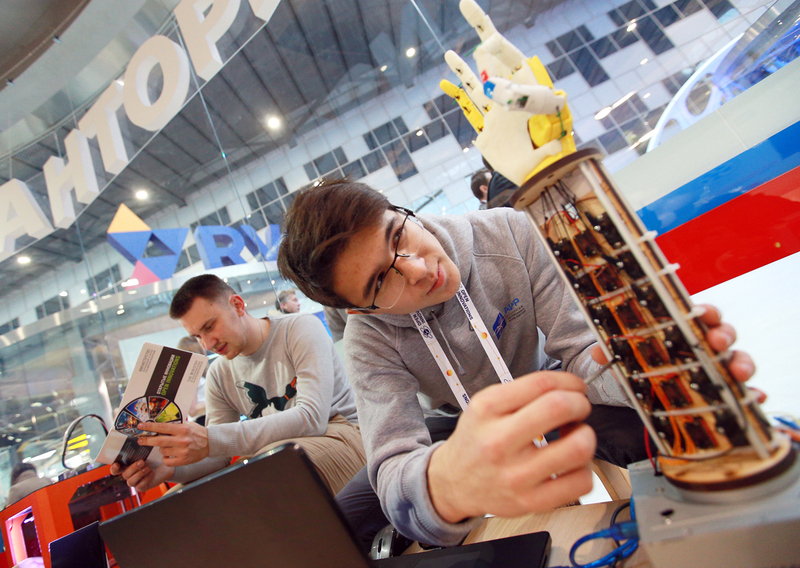 This year, the event highlighted everything that is wrong with Russia's innovation infrastructure, ranging from the low demand for new technology, to the lack of investment for early-stage startups. Pekka Viljakainen, adviser to the Skolkovo Foundation president, said large Russian corporations investing in startups seek a controlling stake of at least 30 percent. Such pressure, however, can have an adverse effect whereby startup founders are not motivated to take risks and accept responsibility. Viljakainen believes tech entrepreneurs can create a unique product only if they are given more freedom. Evgeny Kuznetsov, CEO of RVC, one of Russia’s major development institutes and a key player in building the county’s innovation system, admitted that long-established companies in Russia do not have the necessary experience and instruments to work properly with startups. Additionally, Russian senior executives and top managers often think that they have no need of innovation. Kuznetzov said, for example, that it was a big mistake made by local energy companies. According to the annual Innovation Report, budgets in Russia for R&D decreased while the demand for new technology has been increasing. “Big business has to cooperate with the innovation sector,“ Kuznetsov said. He admitted that many startups eventually move abroad because they don't fit into the purchasing strategy of major Russian companies. The Russian government is actively fostering the innovation process, encouraging and supporting startups through organizations such as RVC, Skolkovo, the Agency for Strategic Initiatives (ASI) and many others. But the top down approach to innovation doesn’t help tech companies to grow fast enough. Ruslan Musin, founder of SpeakUS, a mobile app that breaks down language barriers with the help of real interpreters, said the infrastructure for startups is in the early stage of development. “It seems that window dressing gets more attention than deeper processes,“ he told RIR, adding that his startup had a positive experience getting support at its place of residency, the Strogino science park, which belongs to the Moscow city government.